I received a mailer recently that impressed me – not with its creativity or call to action, but at how poorly it was planned out and conceived. I shared this on my personal Facebook page, and one of my print colleagues urged to turn it into a blog post. I’ve been absent from my blog for a while due to health and personal reasons, so I was inspired to take up the pen (or pull out the keyboard) and write. This mailer was a survey done by the Orange County (CA) Supervisor Andrew Do. A tri-fold mailer with a perf where you could tear off the survey and return it. But as I started to fill it out, I noticed three major errors in the planning and execution of this mailer, and I wish to share them here to enlighten those who may be planning a return mailer. Problem: It was printed on coated cover stock. How many times have you had something on a coated stock, which made it damn near impossible to write on it with ink or the newer gel ink pens? You have to use a Sharpie, and how many people have those lying around? And if they do, they’re probably the regular Sharpies, not fine tip Sharpies that you can write with. (As you can see from the image above, I did start to fill it out using a Sharpie, but stopped when I wondered if there was a website I could go to and do the same thing). Solution: print on uncoated cover stock, or use a pencil-receptive aqueous coating. Yes, coated sheets have a better “look” than an uncoated, but you’ve made the whole piece a challenge for a recipient to fill out. Problem: you have to mail it back and affix a first-class stamp to it. Solution: really, the solution was to make it a postage-paid return piece, if you really want the recipient to return it. Several people (including myself) these days do not purchase stamps, because we do most if not all of our bill-paying online. Problem: there is no link provided to a website that would allow us to fill out this survey, and, for the senders, capture data. Solution: create a site or a landing page on a site where the recipients of the mailer can go and fill out the survey, providing their name, phone and address as well. You will probably get a greater response, and you can capture the data. Now, granted, this is more of a rant, but it does bring up some obvious points, and spell out some things that could have been executed better by both the office that ordered the printing, and the printer who provided it. Of course, there may have been budgetary restraints that may have removed some of the many items that I have pointed out here that could have improved the piece. Mailings with thought behind them, and with the means to respond to a call-to-action via an online portal, allow for better engagement of the recipient. As a print buyer, you need to think about the complete process from the print until it ends up in the recipient’s hands, and as a printer, you should be advising your clients on the best ways to produce a printed piece. Connect with John on Facebook, Twitter and LinkedIn. OK. That does sound like a title for yet another Holiday-themed movie. But in a way, print did save Christmas – or at least helped create the Christmas traditions that we enjoy today. During the 1600’s, England was under an extreme religious fervor that included banning of religious observations: this fervor was based on a strict interpretation of The Bible. Even if Christmas was an event IN The Bible, the celebration of it was not, so observing Christmas was banned. By the time Dickens was writing in the 1840’s, England had not only returned to being a more celebratory nation, it was examining and exploring and embracing long-dormant Christmas traditions. By writing “A Christmas Carol”, Dickens defined many of the traditions that we enjoy celebrating today. “New” traditions like carol singing, decorating, and giving & receiving of gifts – all these became popular and established as Christmas traditions, due in the most part to Dickens’ beloved book. So, that’s how Print Saved Christmas! So, Merry Christmas – Merry Printmas – to all! My family had a long-standing tradition of designing and printing our own Christmas cards. Starting shortly after my parents married in the early 50’s, they would yearly create a unique Christmas card that was mailed out to all the family and friends. Often, these cards were anticipated, as in “What will Cliff and Shirley come up with THIS year?” I have come across long-time family friends that have told me that they or their parents kept the cards, due to the creative and uniqueness of each one. Of course, having parents that were both artists (my dad was a graphic artist and illustrator, and my mom was a fine artist, painting and doing crafts) made the whole process easy. Often the concept was hashed out around my dad’s birthday in early November, and by early December, sketches were done, “approved” by my mom, and then my dad would hand draw, and often hand-letter, the art. They were printed locally, usually on colored card stock, folded, and mailed. Sometimes, my brothers and I were part of the creative process, even contributing to the artwork. And often, even after the card was printed, my mom and dad would add something a little extra to the card to make it even more unique. One year, the card was printed in brown ink on a green card stock, and as part of the design (and this was pre-planned), my mom and dad took white poster paint, and added the outline of a Christmas tree. This made the card “pop” a little more, and added the element of the tree “shape”, with very little effort. a length of pink cord (I think it was actually a pink shoelace), tied a “bow” into it, and then hand-glued the “ribbon” in place on each card. It turned it into a Christmas gift, with a very simple message. Of course, with all the technology we have these days, it’s easy to make unique and individual Christmas cards, and there is a whole industry that allows you to pick templates and customize them as you wish. But every-once-in-a-while, I do see a card that was carefully and creatively done, and it takes me back to the nearly 50-year tradition started by my parents. Wishing you a Happy and Creative Holiday Time! When I was a kid, the highlight of my year was the arrival of the Sears “Wish Book” – the catalog to end all catalogs. I’d eagerly scour the toy section (always at the front) to create my wish list of gifts. Of course, I’d list 15-20 items, knowing that Santa did not have enough space on his sleigh to bring EVERYTHING (that’s what my parents told me), so I wanted to give him a broad selection. While we mourn the passing of print in some of its forms, catalogs are making a comeback, along with direct mail. Why? Because retailers are discovering that without a catalog, there is less web traffic and online purchasing. Check out this article from CBS News about JC Penney resurrecting its catalog. In just the last few days, I’ve received a few catalogs, two of which are targeted to me. They are both wine catalogs, most likely being driven by my activity on liquor.com. But it’s shrewd marketing: send to a specific demographic a catalog that is within that person’s field of interest. And with catalogs, I can browse easily, then go to the site to make my purchase. Even though a print catalog may not have all the product in it you find online, it can spur someone to research deeper into the retailer’s site, and perhaps generate a sale. Another thing is direct mail, and in this case, a piece from one of our local malls. It’s simple, mailed as an EDDM piece. But it also could have been driven by the fact that I purchased a pair of shoes at a store in this mall, and they could have easily farmed that list. It’s well-designed, not cluttered. And it displays a selection of stores that would interest most people who are shopping for fine apparel or unique gifts. So, do not discount catalogs or direct mail. They can both be very powerful tools in your arsenal. This may sound extremely arrogant, and truly, it is. And this may be something you’d hear from a more seasoned and experienced rep, who’s been in the field for years or decades, maybe ran a press or even was a production manager themselves. Granted, I think most print sales reps might never say this, but deep down inside, they may think it. The problem with this statement is that printing is evolving at an exponential rate, and how our clients think about print changes rapidly too. To not avail yourself of training opportunities – whether it be how to incorporate social media into your mix of touch-points, or understanding mailing better, does both you and your evolving clients a disservice. This is a dangerous statement, because I have experienced first hand when a major client takes their business to a competitor, or reduces the amount of print they purchase. Suddenly, an experienced rep is bringing in half of the sales and revenue that they used to. Not only does that mean a reduction in your commission (and income), but your sales manager or company owner now might see you as a liability, not an asset. So, how do you prospect? How do you get new leads? How do you TALK to the “new” print buyer? All of these things are part of a well-established sales training program, and if you spend time every week in some form of training, it can keep you fresh and alive. This could be interpreted in a few ways, but basically, it states that “I don’t need to learn anything new because I sell print, not anything else.” This is actually pretty archaic, and illustrates a rep that is out of touch with how print sales is changing. I will confess myself that even just a few years ago I was resistant to printing anything that didn’t go on one of our litho presses. The trap with this is that print now encompasses so much more than just “ink on paper”: large or grand format; apparel; mailing; even digital marketing – all these tie into print in some shape or form, or lead BACK to print. So taking the time to educate yourself on alternative print processes only makes you more valuable to your clients, and to your employers. Bill Farquharson – Bill produces twice-weekly videos on YouTube, plus has a great sales training course that establishes a weekly accountability call between you and him, along with a comprehensive plan to boost your sales by giving you challenges to overcome. Check out his site at The Sales Challenge. Paul Castain – Paul is a very energetic and extremely creative source of ideas to sell better. His courses are not print sales specific, but he used to sell print for one of the “big guys” (he never reveals who, but I’m guessing Quad Graphics), so to me, everything he says can be applied to print sales. He does twice weekly podcasts, and offers one-time courses to full weeks long courses. You can find Paul at Your Sales Playbook. Matthew Parker – Matthew is different, in that he comes from the print buyer’s perspective, so his content is geared more on how to approach the prospect or client. 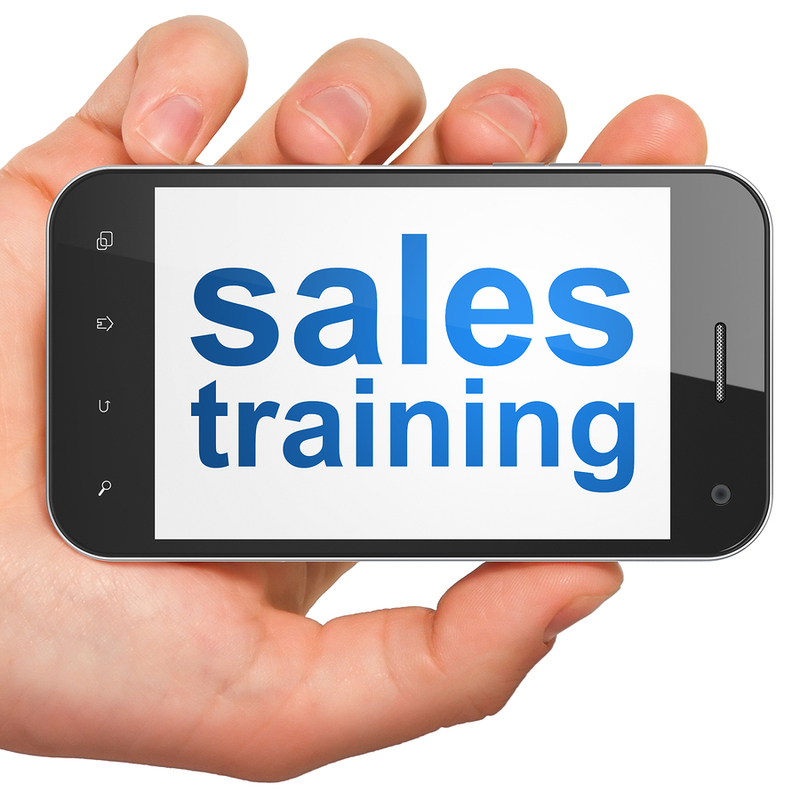 He offers training courses that you get online, ranging from $50 all the way to $300. He’s based in the United Kingdom, but he’s very available via email or Skype. His programs can focus both on individual reps, or entire sales staffs. You can find him on Facebook, LinkedIn or on his Profitable Print Relationships site. So, take advantage of what these great sales coaches can offer you, and take the step to improving your sales, your commission and your income! Not to mention your value to your clients. You mean you do something other than printing? I know that my posts are pretty much exclusively about print, but honestly, I do have a life outside of ink ‘n’ paper. I have the great pleasure and honor to sing with The Pacific Chorale, which is one of the top professional choirs in the country. And this week we’re neck deep in singing the famous Beethoven 9th Symphony (“Ode to Joy”) as part of the Pacific Symphony Orchestra’s 2015-16 Season Opener. We have 3 consecutive nights of rehearsal, followed by 4 consecutive evening performances. Basically, life goes on hold during a concert cycle like this. So, if you don’t mind, I’m going to take a break for a week or two while I indulge in one of my passions. I have a guest blogger that I’m going to highlight soon, and I’m excited about the content she’s going to share. In the meantime, if you’re in the Southern California area, and would like to hear our concert, go to the Pacific Symphony website, and get your tickets there.